The actress looks beautiful on the cover and offers a heartfelt interview. Whether you’re a fan of her Emmy-winning role on the hit Netflix series Orange is the New Black, inspired by her dazzling red carpet style or enamored by her all-around awesomeness, chances are Uzo Aduba is on your radar in some form or fashion and she isn’t going anywhere anytime soon. The actress is the new cover girl for the September issue of Essence magazine, where she dishes on Hollywood, growing up and more. 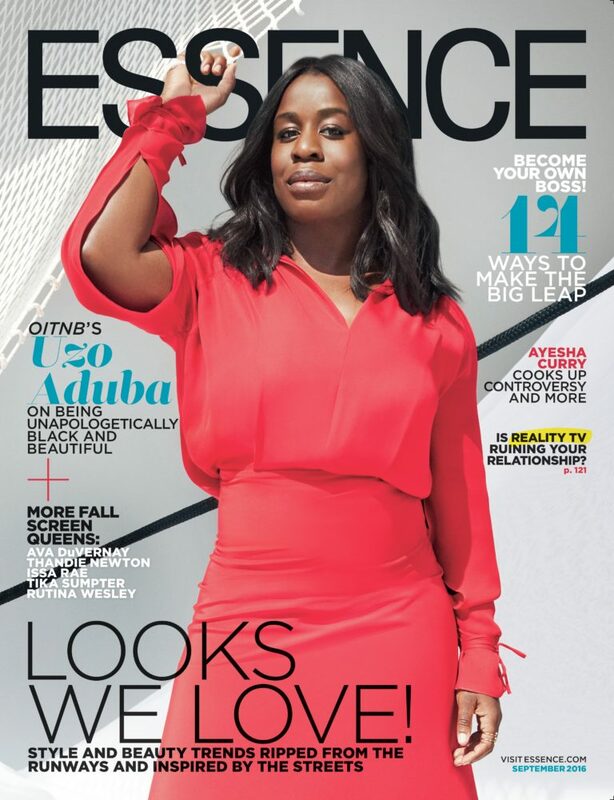 The September issue is the biggest issue in the magazine world and multi-talented actress Uzo Aduba can now say that she has graced the fall issue of a major magazine as she looks absolutely radiant on her inaugural solo Essence magazine cover. In the fashion spread and accompanying interview she takes readers and fans into her upbringing, her success and much more. The 35-year-old actress is a self-admitted thrill seeker who is a fitness junkie and who boasts not one, but two Emmys. Oh, and she completely stuns on the cover of our September issue of ESSENCE. Aduba explains that she struggled to merge her Nigerian roots with her Boston upbringing (she once asked her mother if she could change her name to Zoe). It wasn’t until she discovered acting that she began to truly find herself. You can check out the September issue of Essence magazine now.